The flu season in Colorado is proving to be less severe than last year, according to the Colorado Department of Public Health and Environment. Flu season in Colorado is less severe than the record-setting flu season the state experienced last year, according to state health officials. Statewide, 960 people have been hospitalized with flu since Sept. 30, and the hospitalization rate is currently slightly less than 4 people per 100,000, according to data from the Colorado Department of Public Health and Environment. At this time last year, the hospitalization rate for flu was about 8 people per 100,000, according to the state. Across Colorado, 4,650 flu-related hospitalizations from Sept. 1, 2017, to May 19, 2018, were reported last season. In La Plata County, two people have been hospitalized this season, and in Montezuma County, no one has been hospitalized for the flu, according to the state. Thus far, the severity of the flu season in Southwest Colorado is about the same as last year, said Rosalind Penney, San Juan Basin Public Health regional epidemiologist. “The season has likely not hit its peak yet, so we cannot really say if it is better or worse than last year,” she said. The most dominant strain of flu this season is H1N1, which can cause more severe illness in younger populations, said Rachel Herlihy, epidemiologist with the state health department. Residents 4 years old and younger have been particularly hard hit by the virus this season, she said. However, she said, in general, younger residents are less likely to be hospitalized and that can make flu seasons seem milder based on hospitalization data. The state also examines data from outpatient clinics and the percentage of patients testing positive for the flu to determine when flu season is peaking, she said. “Without a doubt, hospitalizations are the tip of the iceberg,” she said. It is difficult to gauge how many people have the flu because state data does not include every provider who is testing for flu, and it does not count people who get the flu but do not go to the doctor for testing, Penney said. Hospitalizations also reflect how people are reacting to the flu virus, rather than gauging how many people are getting the flu, she said. Herlihy could not say whether the flu season is tapering off yet. 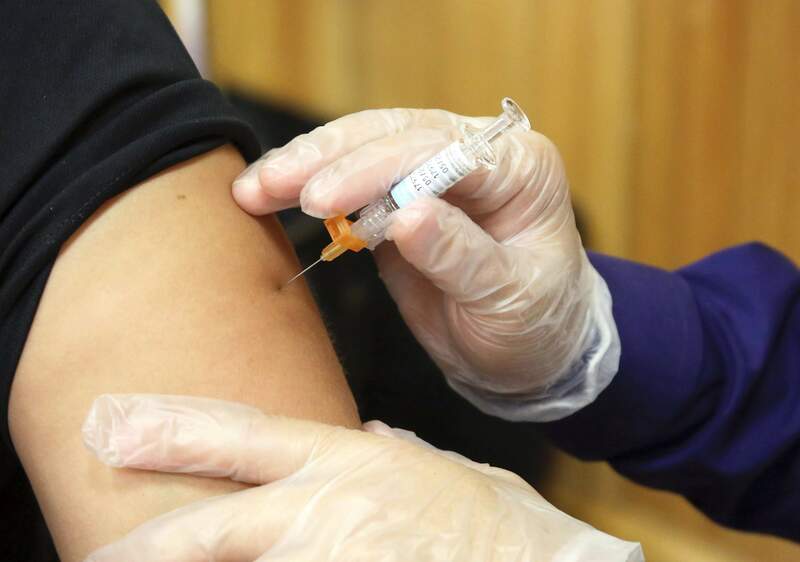 It’s possible Colorado may not be halfway through flu season. The state could also see a second wave of a different strain of flu later in the season, she said. “Every influenza season is different,” she said. Residents are still encouraged to get vaccinated for the flu, she said. Getting vaccinated can help protect those younger than 6 months old who cannot receive the flu vaccine, she said. People with chronic illness and parents of young children can ask their doctors about receiving anti-viral medications, such as Tamiflu, because it can shorten their illness and help prevent hospitalization, she said. Why are vaccination rates for children lagging in Southwest Colorado?